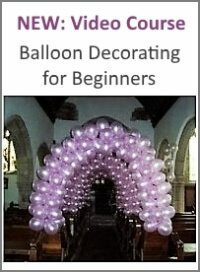 Can I stuff balloons with a 6-8kg object and get them to float? Im interested in stuffing balloons with gifts and have had a look at the Keepsake Stuffer. Its a great product however the balloons need to be in different sizes and should be inflated with helium. Where would i find a balloon that can hold a 6-8kg object and yet still float (helium filled) and not burst when the object inside moves about? Comments for Can I stuff balloons with a 6-8kg object and get them to float? You would need a pretty big balloon to lift a 6-8 kg object. One cubic foot of helium will lift about 28.2 grams. A 6 foot (1.8m) diameter balloon has a lifting capacity of 7.1 pounds (3.2 kg), a 12 foot (3.65m) diameter balloon a lifting capacity of 57 pounds (25.9 kg). 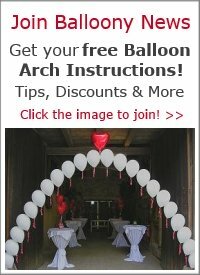 HowStuffWorks.com shows the formula to calculate the lifting power of helium balloons. 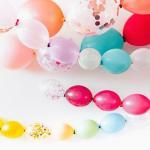 Large balloons or blimps used for advertising are often made of Polyurethane or PVC. This is probably the material you should be looking at if you want to make sure that the balloon does not burst when the object moves around. 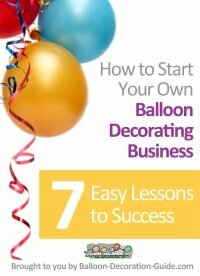 ArizonaBalloon.com for example sells those large helium balloons. Lastly, in terms of stuffing balloons, check out our page about stuffed balloons. You might find some useful tips there. A page about different balloon stuffing machines is coming soon. Hope that helps and I am sure our readers would love to see a picture of you giant floating stuffed balloons!